This is the first of a three-part series on transformative Placemaking. To read part two, click here. To read part three, click here. 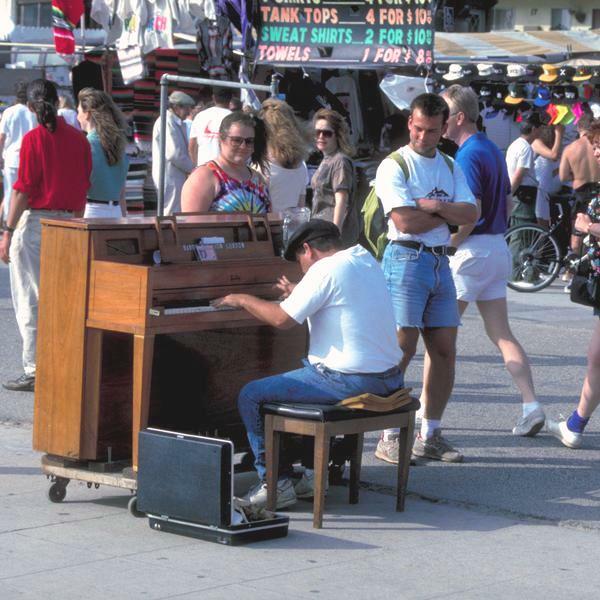 Placemaking is a process, accessible to anyone, that allows peoples' creativity to emerge. When it is open and inclusive, this process can be extraordinarily effective in making people feel attached to the places where they live. That, in turn, makes people more likely to get involved, and to build shared wealth in their communities. 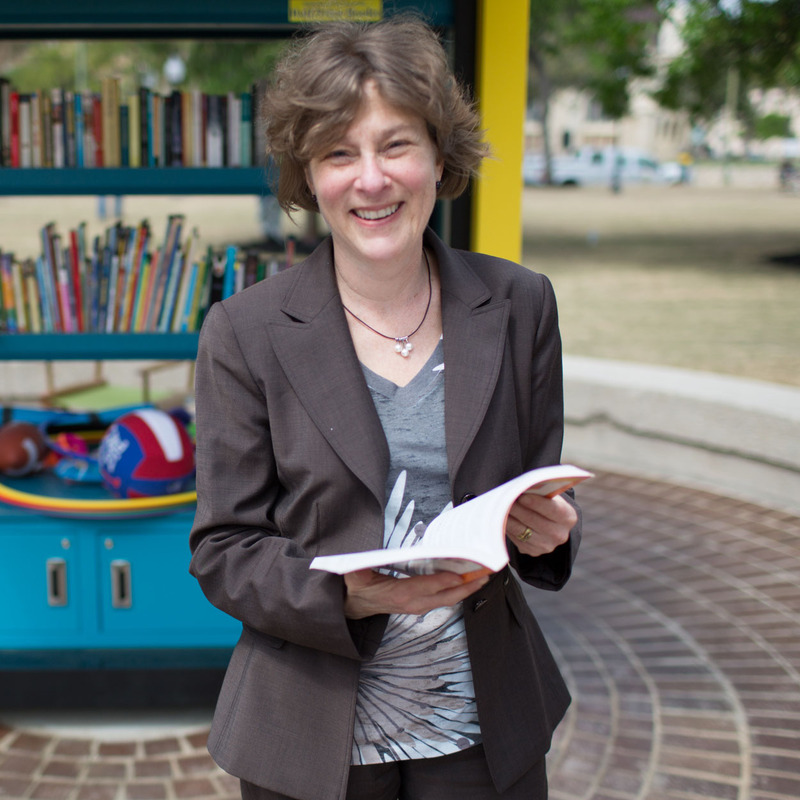 "Placemaking, applied correctly, can show us new ways to help cultures emerge where openness is not so scary," notes Dr. Katherine Loflin, the lead project consultant for the Knight Foundation's groundbreaking Soul of the Community study, which showed a significant correlation between community attachment and economic growth. "We could find with consistency over time that it was the softer side of place—social offerings, openness, and aesthetics—that really seem to drive peoples' attachment to their place. It wasn't necessarily basic services: how well potholes got paved over. It wasn't even necessarily for peoples' personal economic circumstances." The study's other key finding was that there is an empirical relationship between higher levels of attachment and cities' GDP growth. This is important because, in Loflin's words, "We have not recognized, as a society, the importance of [place]. Studies like Soul of the Community are helping to give us all permission to spend some time working on this stuff—and not in a kumbaya way, but an economic way." 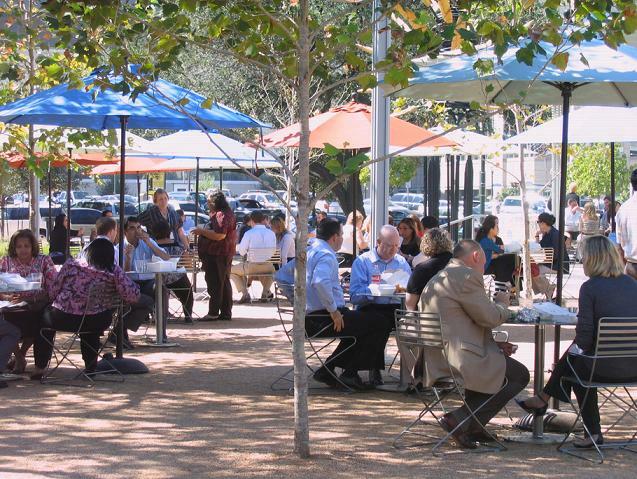 Placemaking, in other words, is a vital part of economic development. And yet, there has long been criticism that calls into question whether or not this process is actually helping communities to develop their local economies, or merely accelerating the process of gentrification in formerly-maligned urban core neighborhoods. We believe that this is largely due to confusion over what Placemaking is, and who "gets" to be involved. If Placemaking is project-led, development-led, design-led or artist-led, then it does likely lead to gentrification and a more limited set of community outcomes. Who is the community, and what is their role? "Which people do we want to gather, visit and live in vibrant places? Is it just some people? Is it already well-off people? It is traditionally excluded people? Is it poor people? New people? People of color?" This builds on a common frustration among people who work in community development and related fields: oversimplification of what we mean when we talk about "the community." Places are almost never the product of a singular, evenly-connected community, but the intersection and overlapping of multiple or many diverse groups. 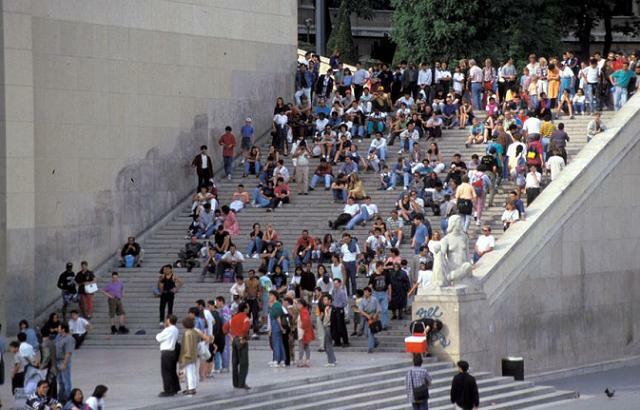 "The community" often includes people who never speak to each other, or may not even notice each other, depending on the quality and availability of welcoming public spaces in which to connect. This is the very problem that Placemaking aims to address. The most important tenet is that the process must be open and welcoming to all who want to participate. This is not to say that everyone will get what they want out of Placemaking. The point is that there will be an opportunity for people not just to share what they want, but also to listen to their neighbors' ideas, and to be part of the process of shaping the public spaces that they share with those neighbors. The end result should be a space that's flexible enough to make room for many different communities, and encourage connections between them. What role do artists play? Perhaps one of the most significant changes that has taken place in the public dialog around Placemaking, over the past several years, has been the rise of the "creative" modifier. 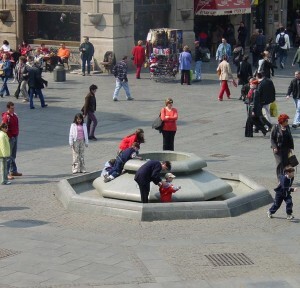 Creative Placemaking's proponents (including the Knight Foundation-supported ArtPlace) have contributed substantially to the public awareness of the importance of public space, and the role of public art in creating great places, by positioning artists at the center of the Placemaking process. Unfortunately, this privileging of one type of activity over others also seems to be the source of many of the recent questions around who benefits, and who is allowed at the table. Whether we like it or not, "creativity" has come to mean something quite specific over the past decade or so. Dr. Richard Florida's movement-sparking book, The Rise of the Creative Class, was boiled down into sound bites so frequently and consistently after its publication, that the idea of "creativity" became the purview of a specific group of people. Suddenly everyone was talking about "creative types," and scheming to build more coffee shops and bike trails in order to lure young people with liberal arts degrees to their city to create design blogs and tech start-ups. The idea, perversely, and in contradiction of what Florida was actually arguing, became that a certain kind of person with a certain kind of creativity was most valuable to local economic development, and cities should try to be more like the places that were already attracting that kind of person in order to steal them away—rather than fostering the creativity of people who were already living in a given place. "What I’ve witnessed in the discussions and practices associated with Creative Placemaking is that they are tethered to a meaning of 'place' manifest in the built environment, e.g., artists live-work spaces, cultural districts, spatial landscapes. And this meaning, which operates inside the policy frame of urban planning and economic development, is ok but that is not the complete picture. Its insufficiency lies in a lack of understanding that before you have places of belonging, you must feel you belong. 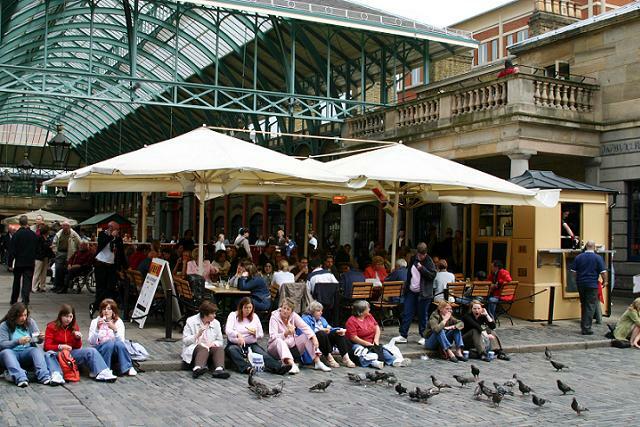 Before there is the vibrant street one needs an understanding of the social dynamics on that street – the politics of belonging and dis-belonging at work in placemaking in civil society." In other words, while the intentions of Creative Placemaking’s proponents are undoubtedly good, and their work very frequently wonderful, the fact that a lot of people just don't consider themselves to be "creative types" limits the potential outcomes. No doubt, part of the drive is to expand creativity and the arts to impact community development and open the arts up to more people, but to start off by limiting the Placemaking process to a certain set of outcomes from the get-go is not the way to go about it. Every place can be vibrant. Vibrancy is people. "Just what does vibrancy mean? Let’s try to unpack the term. ArtPlace’s definition: 'we define vibrancy as places with an unusual scale and intensity of specific kinds of human interaction.' Pretty vague and...vibrancy are places? Unusual scale? Scale meaning extensive, intensive? Of specific kinds? What kinds?" This definition is not just vague, it's unnecessarily limiting. If vibrancy is defined explicitly as an "unusual" condition, it furthers the idea that Placemaking is geared toward the production of specific kinds of spaces and amenities, rather than toward the enabling of citizens to use their public spaces to highlight their neighborhood's unique strengths, and effectively address distinct challenges. We may have come to think of vibrancy as a finite quality after seeing our cities stripped of their dense social networks through decades of freeway-building and suburbanization, but that is a misconception. Every neighborhood—every plaza, square, park, waterfront, market, and street—can be vibrant, but if people don't feel like they can contribute to shaping their places, vibrancy can't exist. Period. Gentrification, which is often blamed on honest attempts to create more vibrant, livable places, is what happens when we forget that vibrancy is people; that it cannot be built or installed, but must be inspired and cultivated. Says DC-based community organizer Sylvia Robinson: "I consider gentrification an attitude. It’s the idea that you are coming in as a planner, developer, or city agency and looking at a neighborhood as if it’s a blank slate. You impose development and different economic models and say that in order for this neighborhood to thrive you need to build this much housing, this much retail." Cities' "soft" sides matter—and so does how we talk about them. "Let us propose a working hypothesis of what makes up the vibrant. Putting aside such outliers as the foundation that thinks vibrancy equals poverty-remediation and the car rental company that believes it means having lots of parks, it’s easy to figure out what the foundations believe the vibrant to be. Vibrant is a quality you find in cities or neighborhoods where there is an arts or music 'scene,' lots of restaurants and food markets of a certain highbrow type, trophy architecture to memorialize the scene’s otherwise transient life, and an audience of prosperous people who are interested in all these things." "Let’s say that the foundations successfully persuade Akron to enter into a vibrancy arms race with Indianapolis. Let’s say both cities blow millions on building cool neighborhoods and encouraging private art galleries. But let’s say Akron wins...What then? Is the nation better served now that those businesses are located in Akron rather than in Indianapolis? Or would it have been more productive to spend those millions on bridges, railroads, highways—hell, on lobbyists to demand better oversight for banks?" This is a straw man argument that many of us are tired of hearing: that focusing on the 'soft' side of cities, the very things the Soul of the Community study found most important, is a waste of money when cities should be focusing on hard infrastructure. But if we allow Placemaking to be framed (or even worse, practiced) in a way that leaves people feeling unwelcome or excluded, we're setting ourselves up for exactly that sort of criticism. Better communication between the people who share rapidly-changing neighborhoods is vital to the future success of our cities—and, considering the fact that 70% of the world's population will be urban by 2050, to the future of global society. That is what we advocate for when we advocate for Placemaking. We do not work for better public spaces so that people will have somewhere to sit and eat gelato; we do it so that they will have somewhere to sit and talk with their neighbors. Whether or not that conversation is about art (or politics, or food, or education, or sports...) is beside the point. You know that you're in a great place when you're surrounded by all different sorts of people, but still feel like you belong. When people feel encouraged to participate in shaping the life of a space, it creates the kind of open atmosphere that attracts more and more people. In their inclusiveness, our greatest places mirror the dynamics of a truly democratic society. As we put it in our introduction to the Guide to Neighborhood Placemaking in Chicago (written for the Metropolitan Planning Council), "Placemaking allows communities to see how their insight and knowledge fits into the broader process of making change. It allows them to become proactive vs. reactive, and positive vs. negative. Simply put, Placemaking allows regular people to make extraordinary improvements, big or small, in their communities." Over the next few weeks, as we prepare for the first meeting of the Placemaking Leadership Council in Detroit on April 11th and 12th, we will be exploring the relationship between individuals and the Placemaking process in further detail. More to come soon.